Acharya Shree Vikas Malhotra is an expert astrologer, numerologist and spiritual healer who specialize in Lal Kitab & remedial Vedic astrology. He is a qualified person with knowledge of multiple disciplines. Some of his areas of specialization include finance, economics, law and management. He completed his Company Secretaryship (CS) course from Institute of Company Secretaries of India. He has done LLB from Delhi University and MBA from IGNOU with specialization in finance. He has also done Masters in public administration. He is a Fellow member of Insurance Institute of India, Bombay. 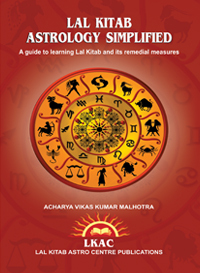 Astrology has always been a fascination for him and this motivated him to study it in a thorough and systematic manner. He enrolled in ICAS (Indian Council of Astrological Sciences), a premier institute started under the guidance of Dr. B.V. Raman. From ICAS, he completed Jyotish Praveena and Jyotish Visharad getting highest marks at the Institute. He got the opportunity to learn from eminent astrologers at ICAS, some of which include Mr.M.N. Kedar, Mr. K. Rangachari, Mr. V.P. Jain and Mr. Pradeep Goel. He also learnt Palmistry from Mr. O.P. 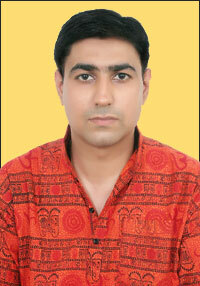 Verma who has authored many books and is considered as an authority on the subject. Acharya Ji has the habit of reading books on astrology and philosophy and while reading such books, he came across Lal Kitab books written by eminent Lal Kitab astrologers like Pandit Krishna Ashant, Pandit Umesh Sharma, and Pandit Beni Madhav Goswami Ji. He analyzed that remedies of Lal kitab are simple and moreover they can be done by an individual on his or her self without the help of a priest. He carried deep research on Lal Kitab and applied its concepts to various horoscopes in his data bank. He started giving consultations which benefited a large number of people both within and outside India. This resulted in foundation of Lal Kitab Astro Centre (LKAC) and today people both within and outside the country consult him for removal of their problems in marital life, education, health, career, financial prospects and other issues. He is known for his in-depth analysis, accurate predictions and simple and effective remedial measures. His passion for gaining expertise in astrology profession resulted in his learning Numerology and Vaastu also. He also learnt Reiki which is a Japanese technique for stress reduction and relaxation. It increases the efficacy of healing process in medical cases. Through the use of this technique, he ensures that negative thoughts and energy stays away from the client. 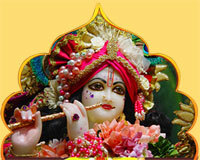 Please come forward and meet him for personal consultation by prior appointment.